If you didn't know already, I am a cat lover. Anything that has cats on it is pure weakness for me. What? It's just too adorable!! 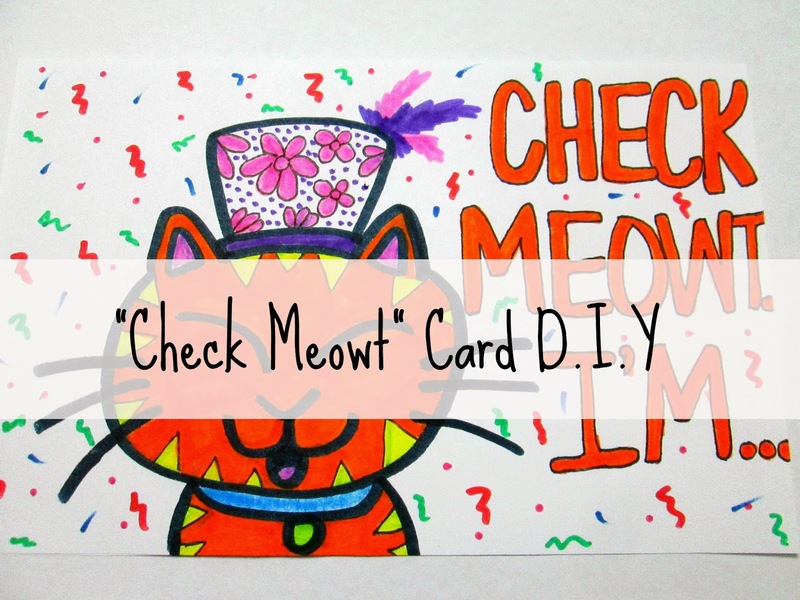 To go along with my cat loving self, I've created this tutorial for a "Check Meowt" card. It's a birthday card, but you can customize it to be anything you like as I've mentioned numerous times before. Alright, enough rambling. On to the tutorial! Step 1: Draw a cat's head and two lines going down it for the body. Draw triangles for the inside of the ears. Draw the eyes, nose, mouth, and tongue. Draw triangles all over the cat. Draw a top hat on the cat's head. Draw a collar around the cat's neck. Color the cat's body orange and color the triangles yellow. Draw three black whiskers on each side of the cats face. Color the cat's tongue pink. Step 3: Color the cat's collar and ears. 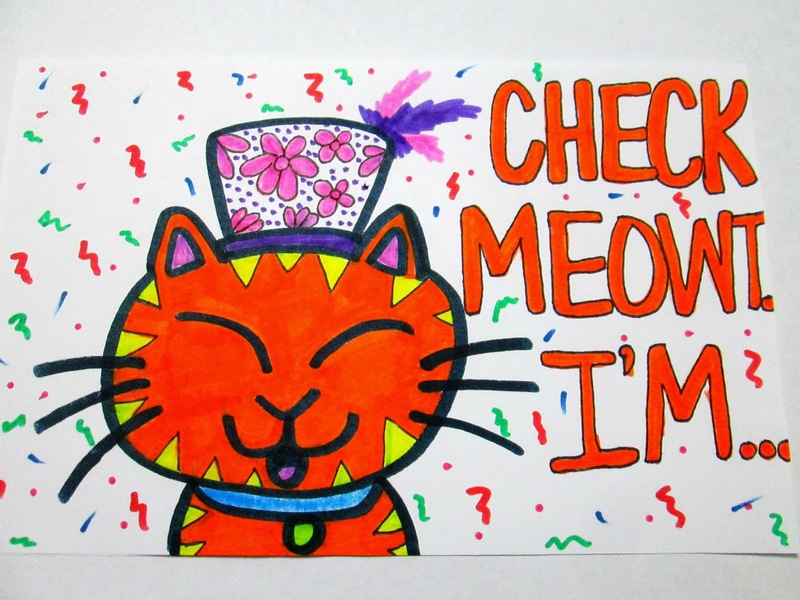 With your orange marker, write the words, "Check Meowt. I'm..." so that it will be easier for you to outline it with your black Sharpie Thin later. Color in the blank spots. Step 4: Using different colored markers, make dots and squiggly lines in the background so that it looks like confetti.